Bandwidth: 5 MHz - 1 GHz, optimized for digital and high-definition connections. Over 130 dB of RFI shielding for optimal signal performance. Enhanced return path for improved cable modem performance. High return loss to minimize ghosting or pixelated images. Split signals up to two outlets. F-terminators recommended for unused ports to optimize performance. Klein splitters have lower insertion loss, higher shielding, a solder back cover and are hand-tuned for quality and performance. 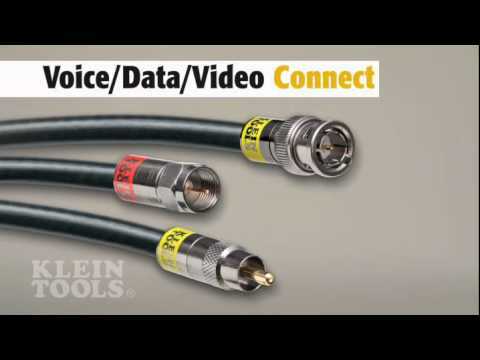 The Klein 2-Way Splitter is optimized for digital and high-definition connections. It splits signals for up to two outlets. Bandwidth specifications are 5 MHz - 1 GHz.